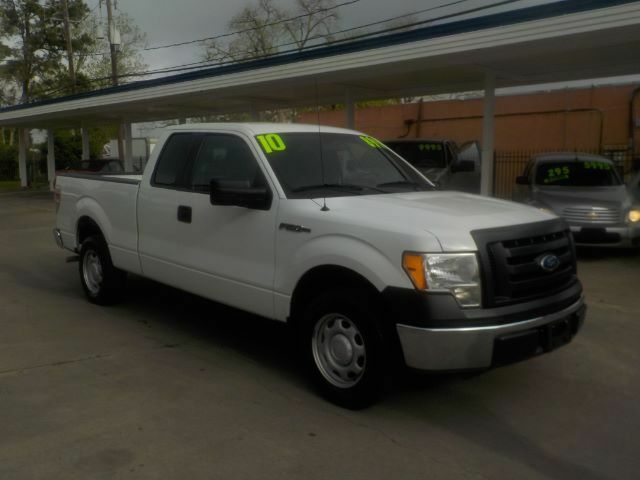 Our fantastic 2010 F-150 XL extended cab in RWD is ready and waiting for you! Come on..take a look...Under the hood, the big V-8 has plenty of power and it seems to be perfectly matched to the six-speed automatic transmission. Inside, there is a host of amenities for your driving pleasure! The extended cab will easily fit the family, the coolers, and the gear for a day at the lake. Take a look at our pictures and feature list to see all the creature comforts this one provides! This F-150 also includes electronic stability control, trailer sway control, anti-lock brakes, front and side airbags for front passengers and side curtain airbags for both rows - all standard. Safety items should never be optional. Print this page and call us Now... We Know You Will Enjoy Your Test Drive Towards Ownership!